The winner will be announced live at a ceremony on April 10th. The National Book Foundation announced the 2017 Honorees for “5 under 35,” an annual prize that recognizes five debut fiction writers whose work will “leave an indelible mark” in literature. Honorees are writers from all around the world, under the age of 35, who have published their first (and only) book of fiction—short story collection or novel—in the last five years. Each honoree is chosen by a National Book Award Winner or Finalist, or writers who have previously been an “5 under 35” honoree. Halle Butler, author of Jillian, who was chosen by Lydia Millet. Zinzi Clemmons, author of What We Lose, who was chosen by Angela Flournoy. 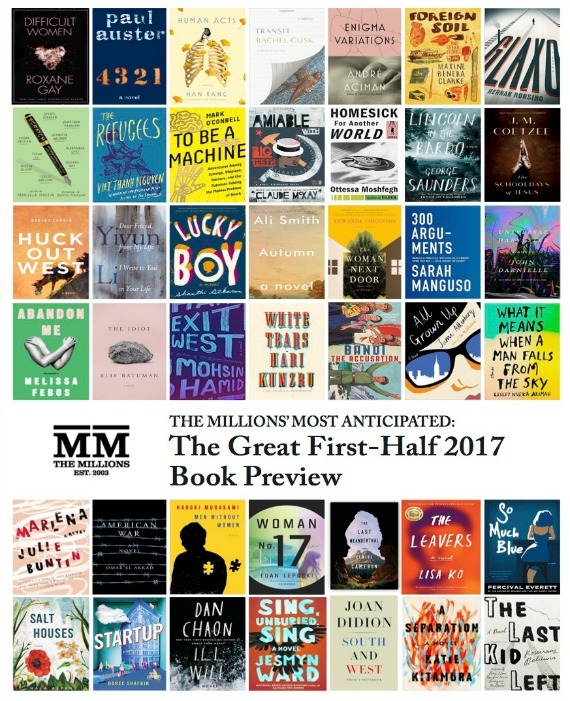 Clemmons’ debut novel was featured in the second-half of this year’s Great Book Preview. Leopoldine Core, author of When Watched: Stories, who was chosen by Karan Mahajan. Weike Wang, author of Chemistry, chosen by Sherman Alexie. Wang’s coming-of-age debut novel was featured in our 2017 Great Book Preview. “Without your micro-fiction, we’re like a flightless bird, sauceless noodles, or decarbonated LaCroix. We loved the response to our last contest so much that, naturally, we’re having another one.” Submit your 200-word stories of separation to Paper Darts for its second annual micro-fiction award, judged this time around by Lesley Nneka Arimah (whose What It Means When a Man Falls from the Sky graced our most-anticipated list for the first half of this year).